sorcery and skin-clad schoolgirl warriors, resorting to narrative complexity and inventiveness to individuate itself from the excesses of typical Japanese animation. Production I.G is one studio that consistently rises to such a challenge, and here they’ve done it again with Le Chevalier D’Eon, available in Australia through Madman. Based on an award winning historical fantasy novel by Tow Ubukata and set in 18th Century France in the lead-up to the Revolution, the story follows D’Eon de Beaumont as he pursues the mystery of his sister’s death, Lia, a retainer of Louis XV. His investigations lead him into a complex web of alliances that include Le Secret Du Roi (the secret police), dark magicians, and a secret revolutionary organisation led by the Comte Saint Germain. Indeed, one of the hallmarks of the series is just how well it suggests the explosive atmosphere of France at the time – seditious mutterings are heard in the royal gardens, and assassinations occur seemingly at random, suggesting deeper currents of a dark design across Europe. It also introduces quite artfully a plausible occult thread that is not at odds with the myths that resonated deeply at the time. Being an OAV (made for television), the episodic nature of Le Chevalier D’Eon means that it takes some time to cast its net and capture the viewer. Much of the first episode goes gently, but when the climax arrives it sets off a chain of ever more engrossing events across the subsequent chapters. The animation varies in quality, from being perfunctory in segues to fast and spell-binding in some of the fencing scenes, but on the whole is of a consistently high standard. The English dub is quite satisfactory, given how often nuances are steam-rolled in many lesser examples. Production I.G are one of the powerhouses of anime – indeed, their Ghost in the Shell series stands as a high watermark for marrying high-concept narrative with technical proficiency. 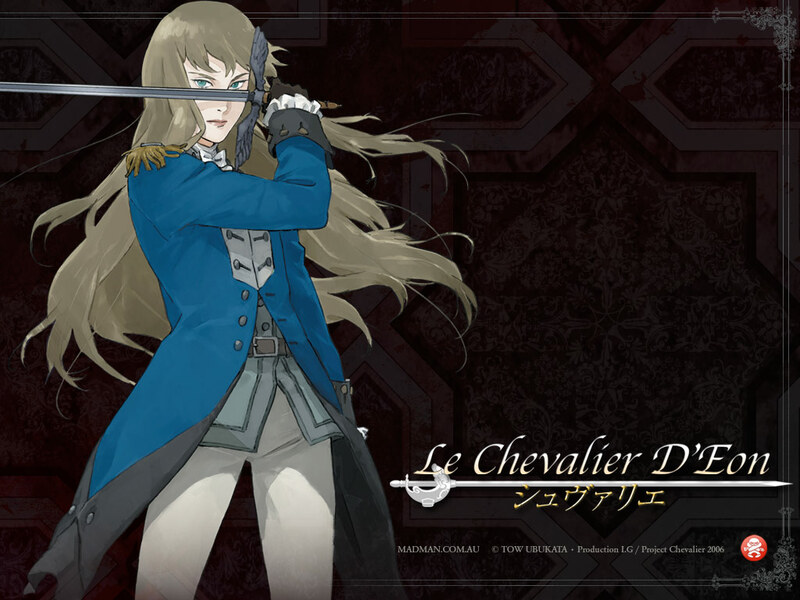 Le Chevalier D’Eon is a fine example of their consummate skill in this form. For those who are looking for a slightly more involved series to while away the winter, and if the story-telling remains tight across future episodes, I.G’s latest comes highly recommended.